The ECMath - Einstein Center for Mathematics Berlin establishes a network of excellence initiatives and projects, which include the Research Center Matheon, the Berlin Mathematical School (BMS), the German Center for Teacher Education in Mathematics (DZLM), the Research Campus Modal, and several Collaborative Research Centers (CRCs) or Transregional Research Centers (TRs). ECMath supports application-oriented basic research in Matheon, selected students in BMS, school activities in DZLM, and knowledge transfer from science to industry, thus connecting education, cutting-edge research in pure and applied mathematics and large-scale industrial applications. 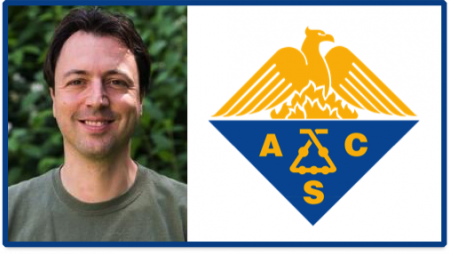 Frank Noé, Professor at FU Berlin and PI in the recently startet Cluster of Excellence MATH+, receives this year's early career award for theoretical chemistry of the American Chemical Society (ACS). The prize awards his pioneering development of innovative methods for computational biophysics, especially Markov state modeling and its applications to challenging protein simulation and the sampling problem. The ACS Physical Chemistry Division annually sponsors senior and early-career awards in theoretical and experimental physical chemistry that are intended to recognize the most outstanding scientific achievements of members of the division. Frank Noé has an interdisciplinary chair in the departments of Mathematics and Computer Science, Physics and Chemistry. Sustainable energy supply, individualized medicine or the analysis of social processes: Technology and society face challenges that are characterized by increasing complexity, driven, among others, by increasing digitization and ever larger amounts of available data. Mathematics plays a key role in mastering all this and taking advantage of the opportunities that come with it. 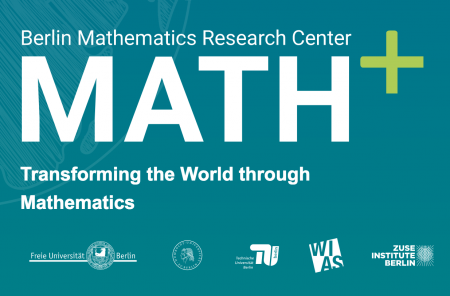 With the Berlin Mathematical Research Center MATH+ we build an interdisciplinary and interinstitutional cluster of excellence that develops new approaches to application-oriented mathematics. This should benefit both diverse applications and mathematics itself. On October 30, 2018, the first general assembly of the new Cluster of Excellence MATH+ took place. Martin Skutella (TU Berlin) was elected MATH+ Chair, Michael Hintermüller (HU Berlin, WIAS) and Christof Schütte (FU Berlin, ZIB) as Co-Chairs. The other members of the newly elected MATH+ Board are Rupert Klein (FU), Gitta Kutyniok (FU), John M. Sullivan (TU), Caren Tischendorf (HU), Felix Günther (TU) as Postdoc Representative and Michael Rothgang (BMS) as Student Representative. Congratulations to all!